Here is a turbine engineer web site. While dealing with the Cocohouse web site I built a bit of web design skills. 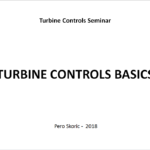 Hence I decided to put online some of my turbine (control) expertise gained through a lifetime of hands-on experience in the power engineering. 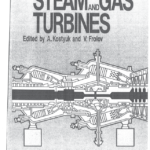 To be used by turbine engineers or anybody who wants to become one. 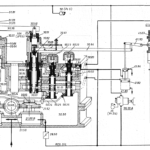 A simplified core steam turbine design. The calculus is based on input steam parameters and design conditions. It predicts the design operating point and the expected output. It also calculates any off- design operating point and predicted output in a case of inlet pressure deviates from the rated one. This kind of assessment is particularly required in geothermal engineering world. A time simulation with a bang-bang loop controlling the water level in a vessel. Was taught this type of bang-bang loop by my teacher prof Sherman back than at the university. Believe it is quite superior to whatever I’ve seen around since. This application allows you to tune the whole thing, play with it and understand how ThreeP works. TMC stands for Turbo Machinery Controls. This application demonstrate some basic TMC features. It simulates two turbo-generators that can operate in all kind of real life scenarios. Also demonstrates some advanced load sharing features that I developed through the years of dealing with the matter. Its User Manuals explain well how to go around the playground. 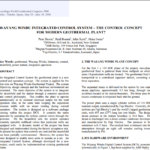 This application simulates synchronizing generator to grid in a manual mode as it ones used to be. These days AutoSynch unit does it all by itself. The simulation gives operators and engineers idea of what is actually happening during synchronizing process. It has its User’s Manual as well. There is also a part here called Linear Control Theory. That part was put together by prof. Šerman with me just shaping it up for the web publishing. Had a privilege to be prof. Šerman university student and later on worked together through some tough projects.